What Does a Weight Loss Doctor Do? Losing weight is not just a matter of aesthetics. Because of the link between excess weight and diabetes, heart disease, and other chronic issues, it is a health concern as well. But many people find it difficult to lose weight on their own and do much better with the assistance of a weight loss specialist. Weight Loss doctors are called bariatricians or obesity medicine specialists and are licensed physicians who have special training in the area of medical weight loss. The word “bariatric” comes from the Greek “barros,” which means “to weigh.” The term came into use over 50 years ago when it was adopted by the Society of Medical Weight Loss Physicians. While most people can understand the need for a specialist to deal with heart disease or gastrointestinal issues, the common perception has been that obesity is a disorder that most people should be able to handle on their own. In truth, According to the American Medical Association, obesity causes or makes worse over 60 medical conditions which means it complicates just about every existing medical specialty. For this reason the specialty of bariatrics is evolving into a discipline more recently referred to as obesity medicine and its practitioners are now called obesity medicine specialists. 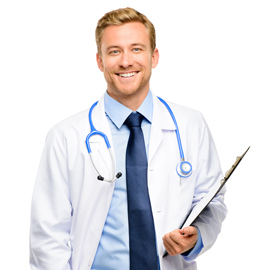 Today, a weight loss doctor can address the specific needs of an overweight or obese patient. While all doctors have training in nutrition and weight loss, an obesity medicine specialist has specialized training and can offer care than a general physician cannot. Through personalized programs, the doctor can help a person finally lose weight and keep the weight off. Bariatricians are separate from bariatric surgeons. Bariatric surgeons perform weight loss surgery while bariatricians offer medically supervised weight loss programs. The methods an obesity medicine specialist will use to help you lose weight will depend on your preferences, current level of health, and many other factors. Tools that can be used to help you achieve your weight loss goals can include nutritional counseling, exercise programs, and, if appropriate, appetite suppressants or other medications. Typically, treatment will start with an analysis of your current level of health, your physical history, and lab work. Your thyroid function and other factors that can cause weight gain will be assessed. A program that fits your specific circumstances will be crafted. Your obesity medicine specialist will also work with you to craft a maintenance program to support the permanent lifestyle changes necessary to keep off the weight.